CD set offers introduction to Way Beyond the West / Alan Watts Insight and Ecstasy / Alan Watts Observations on the Beat Way of Life / Alan Watts Conscience and Concentration / Alan Watts The Art of psychoanalysis: part 1 / Alan Watts Pacifica Radio Archive, 1959 The Art of psychoanalysis: part 2 / Alan Watts The Art of psychoanalysis: part 3 / Alan Watts Bang or Whimper? / Alan Watts Bang or Whimper ? (Sequel) / Alan Watts The Future of Christian Philosophy IV / PLUS MUCH MUCH MORE! Philosopher, author, and lecturer Alan Watts (1915–1973) popularized Zen Buddhism and other Eastern philosophies for the counterculture of the 1960s. Today, new generations are finding his writings and lectures online, while faithful followers worldwide continue to be enlightened by his teachings. 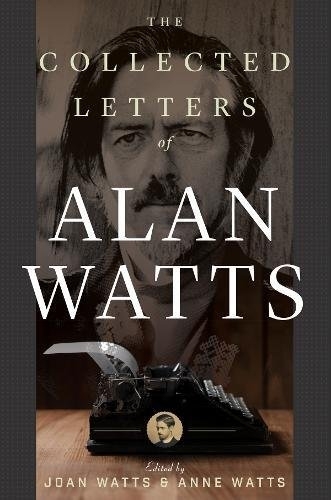 The Collected Letters of Alan Watts reveals the remarkable arc of Watts’s colorful and controversial life, from his school days in England to his priesthood in the Anglican Church as chaplain of Northwestern University to his alternative lifestyle and experimentation with LSD in the heyday of the late sixties. His engaging letters cover a vast range of subject matter, with recipients ranging from High Church clergy to high priests of psychedelics, government officials, publishers, critics, family, and fans. They include C. G. Jung, Henry Miller, Gary Snyder, Aldous Huxley, Reinhold Niebuhr, Timothy Leary, Joseph Campbell, and James Hillman. 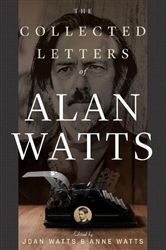 Watts’s letters were curated by two of his daughters, Joan Watts and Anne Watts, who have added rich, behind-the-scenes biographical commentary. Alan Watts is best known as an interpreter of Zen Buddhism in particular and of Indian and Chinese philosophy in general. He earned the reputation of being one of the most original and unfettered philosophers of the twentieth century. He was the author of more than twenty books, including The Way of Zen, The Wisdom of Insecurity, The Meaning of Happiness, Psychotherapy East and West, The Book, This Is It, The Joyous Cosmology, In My Own Way, and Tao, the Watercourse Way (with Chungliang Al Huang). He died in 1973. Joan Watts grew up in the United States and England, and also studied sumi-e (Japanese ink painting) in Japan. Her art has won awards in juried shows and hangs in many private collections. In addition to her art career, she spent twenty-five years as a successful fund-raiser in the nonprofit world. She retired in her fifties and moved to Montana, where for twenty years she was an occasional fishing guide and operated a bed-and-breakfast that catered to fly fishers from around the world. After retiring (again), she began, along with her sister Anne, editing her father’s letters for publication and resumed her painting. She is the mother of five successful, happy children and nine grandchildren. She lives in Livingston, Montana, with her husband, Johnny (Montana) Hale, a musician, songwriter, and retired motion picture–industry technician. Most of her life decisions have been influenced in one way or another by her father, Alan Watts. Anne Watts’s philosophies were also strongly shaped by her experience as the daughter of Alan Watts. Anne is a certified hypnotherapist and an educator and counselor in the areas of human sexuality, sexual abuse, family stress, self-esteem, healing the inner child, and financial and aging issues. Since 1985, she has facilitated hundreds of workshops in the United States, Canada, Australia, Japan, England, and Germany with the Human Awareness Institute, work she is deeply passionate about. Since 2008, she has also been a regular faculty member at Esalen Institute. Anne is the proud mother of two children, Myra Krien and Michael Andrews, and three grandsons, Max Krien, Oliver Andrews, and Eli Andrews. She lives in Santa Rosa, California, in a deeply loving relationship with her husband, Mark Kupke, who has been her partner since 1984. Find her work online at www.annewatts.com.